A power-packed blend of oils that are rich in vitamin C, A and B, these are the key ingredients for combating wrinkles, and aids in firming, tightening and hydrating the skin. Our perfectly powerful balm, helps form collagen and elastin, two structural proteins that give your skin support and elasticity. 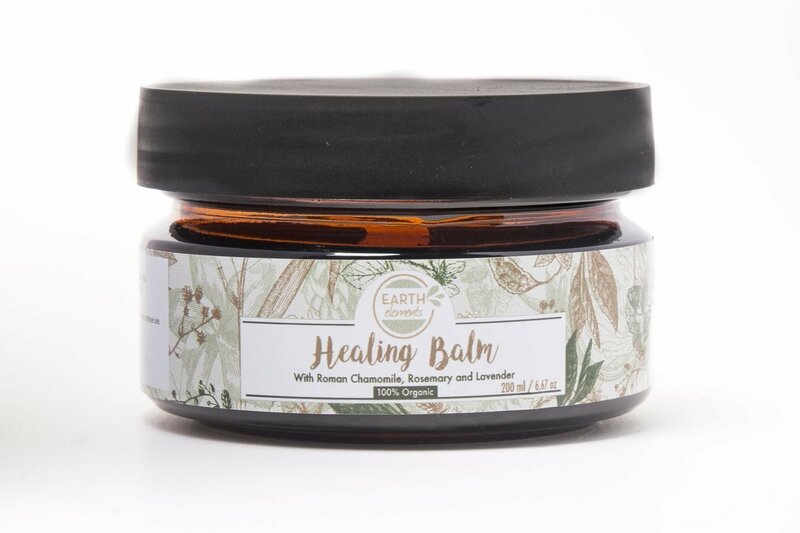 The ingredients in the Healing Balm rages war on the signs of aging, reducing wrinkles and fine lines on the skin, lightens stretchmarks, minor scars and burns. Our customers love this product! And the results speak for themselves. You can slow down the obvious signs of aging. Our Healing balm naturally lightens hyper-pigmentation caused by age and sun damage and bring those those fine lines under control with the super age-combatting ingredients in this amazing product. Eczema, and its irritating itchiness does not stand a chance against the healing balm. The balm is gentle and soothing and relieves the discomfort caused by eczema. The featured ingredient that makes the Healing balm extra special and so extra effective, is the Baobab oil. Baobab is rich in powerful antioxidants which protect skin against free radical damage. High Vitamin C content (6 times more than an orange) assists with skin elasticity. Vitamins A and B firm, tighten and hydrate skin. And finally, the Omegas 3, 6 & 9 fatty acids help maintain the integrity of skin cell membrane. Roman Chamomile as the second featured ingredient, in this rich and powerful healing blend, has calming and soothing benefits for the skin. Incorporating Roman Chamomile essential oil into your daily skincare regimen will help you utilize the soothing benefits of Roman Chamomile, while promoting youthful-looking skin. Unrefined Shea Butter, Baobab, Lavender, Roman Chamomile and Rosemary Oils. Repairs scarred skin. Lightens age spots and hyper-pigmentation. Minimises, wrinkles, stretchmarks and fine lines. Heals minor cuts and burns. The hydrating ingredients works wonders soothing the eczema symptoms.